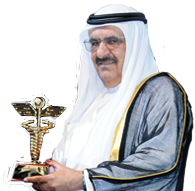 Dubai, December 12, 2018: HH Sheikh Hamdan bin Rashid Al Maktoum, Deputy Ruler of Dubai, Minister of Finance and Patron of the Sheikh Hamdan Award for Medical Sciences, honored the 16 winners of this term of the Award at a ceremony held at the Dubai International Convention and Exhibition Center. The event was graced by the presence of several ministers, health and medical officials, dignitaries and official delegates representing the countries the winners represented. Disorders of the musculoskeletal system form the main theme of this term, together with rheumatologic diseases, orthopedics and orthopedic mechanics. These themes were chosen as the topics of the international awards because of their global significance and health care burden. The awards are presented to scientists who have contributed to unique innovations applied in the diagnosis and treatment of diseases worldwide. On the occasion of the 20th anniversary of the Award,its patron, His Highness Sheikh Hamdan bin Rashid Al Maktoum, delivered a speech in which he stressed that the culture of excellence and innovation was the motivation to enhance the aspirations of the award in spreading the culture of scientific research and investment of its outputs. His Highness added that this can only be accomplished by high levels of coordination at both the local and international levels, aiming to integrate the work of research centers. The new strategy followed by the Award stems from this approach. HE Dr. Abdul Rahman Al Owais, Minister of Health and Chairman of the Board of Trustees of the Award, explained that the policies followed by the Award follow from the directives of HH Sheikh Hamdan, which focus on science and knowledge transfer. Then, the Patron of the Award, HH Sheikh Hamdan bin Rashid Al Maktoum, honored the winners by awarding them with trophies. The special honorary Personality of the Year Award, in celebration of the Year of Zayed, was awarded to the King Salman Humanitarian Aid and Relief Centre from the Kingdom of Saudi Arabia, in appreciation of the services offered by the Centre in terms of the humanitarian relief, development and medical assistance in all parts of the world. Prof. Frederick Kaplan was awarded the prestigious Grand Hamdan International Prize. Prof. Kaplan is Isaac & Rose Nassau Professor of Molecular Orthopedics and Chief of Molecular Orthopedic Medicine at the University of Pennsylvania School of Medicine Health. The winner of the Hamdan Award for Excellence in Medical Research was Prof. Graham Hughes, president of the London Lupus Center at London Bridge Hospital for his multiple achievements. The most significant of these is his discovery of Hughes Syndrome, one of the two most important disorders discovered in the late 20th century. Professor Franklin Sim and his team, from the Mayo Clinic, Minnesota USA were selected for this award in recognition of their research on the treatment of challenging sacral tumors, which provided models for new treatments for complex tumors. Professor Vijay K. Joel is a distinguished scientist who currently holds the position of Professor of Biomedical Engineering in Orthopedic Surgery and is a Chair of the Endowment Fund at the McMaster Gardner Institute and Co-Director of the Orthopedic Research Center (ECC) at the University of Toledo, Ohio, USA. He has set the standard for research excellence in orthopedic bioengineering research, through the development of 3D models of complex orthopedic anatomies especially that of the spine in addition to the much needed innovations in the biomedical devices’ industry. On behalf of the International Committee of the Red Cross, Geneva, Switzerland, Mr Mohammed Yehia received the Hamdan award for humanitarian services. The committee has focused its work for more than 150 years on developing and promoting international human rights law in 80 countries around the world. King Hussein Cancer Center Jordan, the largest specialized institution for cancer prevention and treatment, won the Hamdan Award for Best College / Institute / Medical Center in the Arab World. 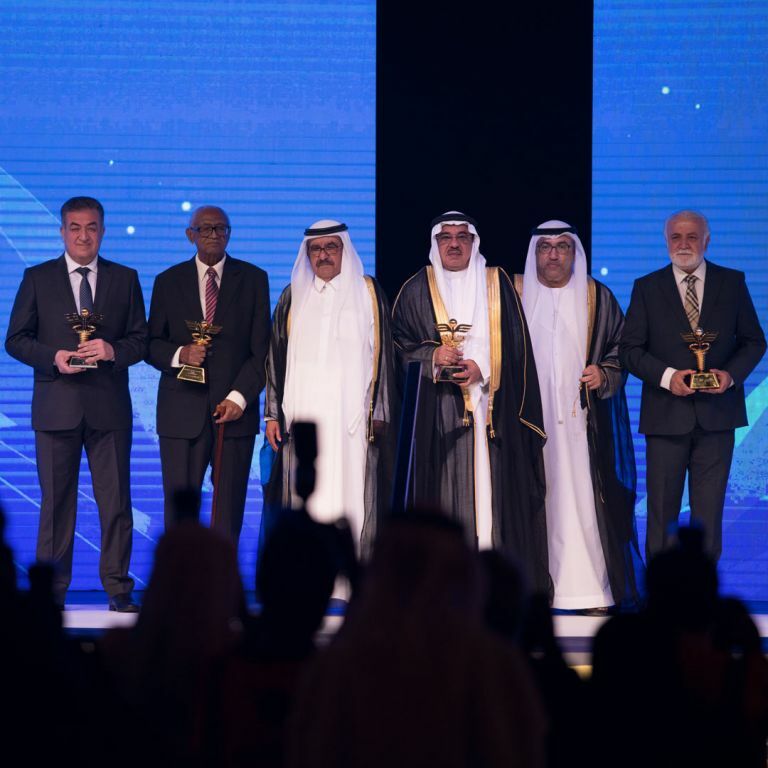 The Hamdan Award for distinguished medical personalities in the Arab world was awarded to Prof. Qutayba Hamid Al-Heialy, from the United Arab Emirates, who is currently the Vice Chancellor for Medical and Health Sciences Colleges- Sharjah University. The second winner was Prof. Ahmed Mohammed Al-Hassan,from Sudan. He is the former minister of Higher Education in the Republic of the Sudan and has participated in the establishment of many independent academic institutions in Sudan as well as Saudi Arabia. The third winner of this Award was Dr. Faisal Abdul Rahim Shaheen, from Saudi Arabia, a famous Arab scientist in the field of organ transplantation. Prof. Faisal contributed to the development of scientific, legislative and research guidelines beside the international and regional policies in organ transplantation fields. Drs Jamal Al Saleh and Maryam Abdel Karim received the Hamdan Award for the best medical department in the UAE government sector on behalf of the Department of Rheumatology, Dubai Hospital. The department is first specialized center in Rheumatology in the UAE. HH then awarded four individuals the Hamdan Award honoring people working in the field of medicine and health within the UAE. The first winner was Dr. Abdul Wahab Yousif Al Muhaideb. He has many contributions in the development of preventive medicine and primary healthcare, and to the consolidation of environment joint work rules locally and regionally. 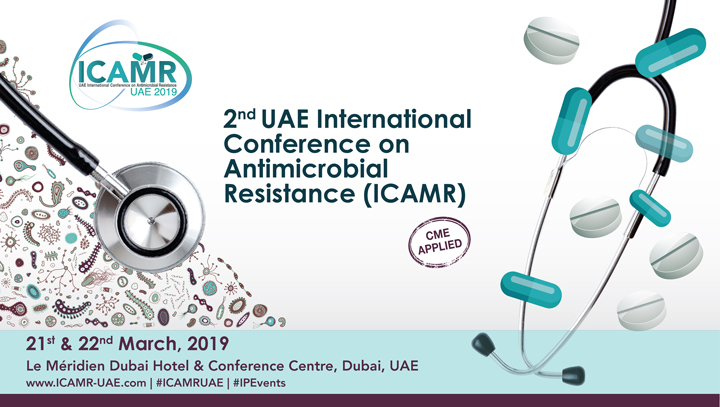 concepts, and as an administrator, he contributed in the establishment of the Public Relations Departments at Dubai Health Authority,that act as a training hub for many in this field. 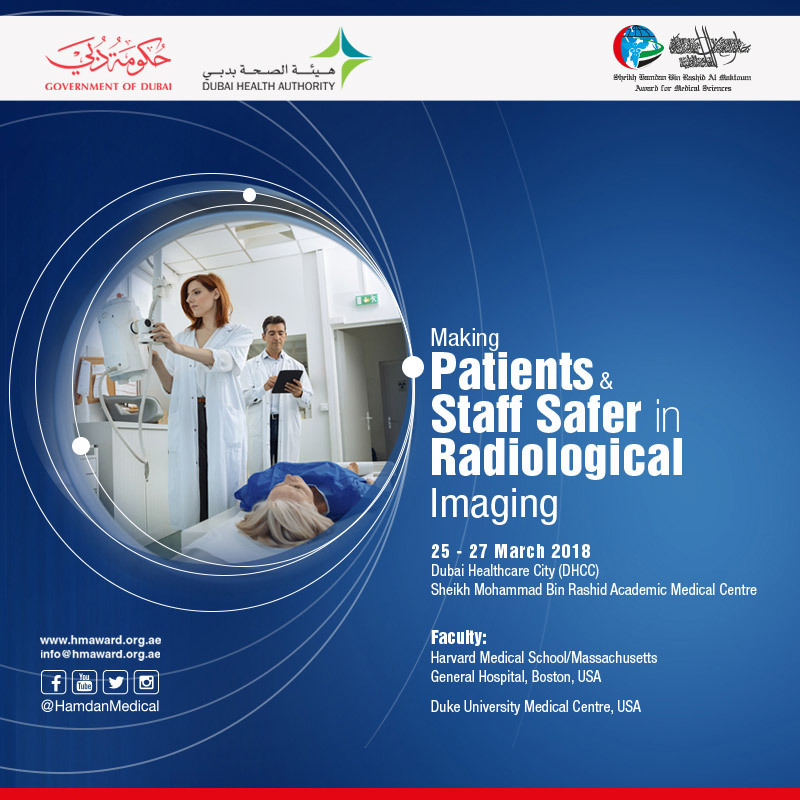 It’s noteworthy that the 10th Dubai International Medical Conference will begin tomorrow and will include 11 workshops and 13 lectures, some of them delivered by the winners of the International Awards category.